The Union labour ministry has been one of the most watched in the Prime Minister Narendra Modi-led government at the Centre, as it has tried to overhaul archaic labour laws to push ease of doing business. 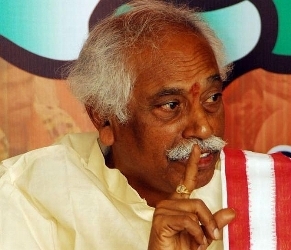 While pressure from trade unions has put a spanner in the works, Bandaru Dattatreya, below, left, minister of state (independent charge), Union Ministry of Labour and Employment, told Arindam Majumder and Indivjal Dhasmana that in spite of hurdles, he is hopeful of pushing through crucial reforms and yet be pro-worker. A lot of noise was made by the labour and employment ministry but hardly anything was achieved. How do you rate your performance at the end of two years in office? First, I am in office for a year and three months. The ministry has taken many initiatives. One of them is taking the legislative course. For employers, we have created a single platform for online registration of eight labour laws, which provides simplification of procedure for a large number of establishments. A complex process has been simplified. For the workers, we have created Universal Account Numbers for the Employees’ Provident Fund Organisation portals. Wages or pensions or any claims or settlements can be settled through this. Approximately, 800,000 establishments have registered with the portal. About 62 million UAN numbers have been provided. So, now workers in unorganised sectors such as construction can get social security through UAN. Earlier, the pension amount was too little. Now, we have a minimum pension of Rs 1,000 annually. This has benefitted two million workers. Unions have been demanding a higher bonus -- the ceiling has been increased from Rs 3,500 to Rs 7,000. Coverage has also been increased. This is the first time since Independence that workers have been given such a high bonus. We have also decided to fix a universal minimum wage, keeping in mind the low rate that exists now. So, from the achievements you have listed, it is clear that a reformist government that came to power promising ease of doing business has done many pro-worker reforms, but failed to bite the bullet in the face of opposition from unions. Regarding labour laws, we are in the process of creating codes. The ministry has taken many initiatives. One of them is taking the legislative course. Earlier, the pension amount was too less. Now, we have a minimum pension of Rs 1000. We have also decided to fix a universal minimum wage keeping in mind the low rate that exists now. This is for simplification, making processes less complicated for industries. Tripartite meetings on the code on wages and industrial relations have been held. We have prepared a draft and sent it to the law ministry. I expect it to be passed in the monsoon session of Parliament. Yes, the trade unions have been a deterrent. It is perceived that the workers’ rights are being taken away, but I want to ensure that it no anti-worker steps will be taken by this government. The attitude of the Opposition is also a big problem. They are not allowing the system to function properly. 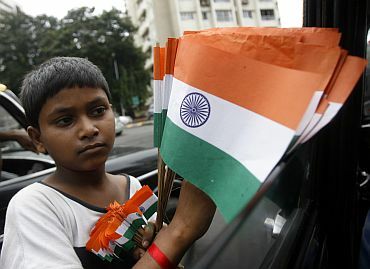 A progressive step like the Child Labour Act is now stuck in the Rajya Sabha for three sessions. Industries have opposed the minimum wage and the Payment of Bonus Act. The law should be simplified and made conducive for ease of doing business. At the same, the workers should be happy and in a good relation with the industry. Wages should improve. He (a worker) should be confident about his wage and job. There should be a balance between the two. Three decisions (proposal to tax EPF returns, tightening EPF withdrawal norms, and revision of rate of interest on EPF return) have been taken in haste and rolled back because of lack of coordination between finance and labour ministries. Does that show the government in negative light? Sometimes we take decisions but revise them after getting the public reaction. After all, everything is in public interest. Job growth has slowed down considerably in the past one year. What is the government doing to reverse that? You see, jobs cannot be created unless there are enough skilled workers. Every year, 10 million join the workforce by migrating from agriculture. The intensive labour sector needs some skilled workers. So, the government has started programmes of training them. But where will the jobs come from for those skilled under the government’s programme? The National Career Council Centre is an innovative portal that acts as an interface between the employees and the employers. At present, there are 84,000 vacancies. Lack of technical skills is the problem. The government, on behalf of employers, pays stipend to the apprentices to encourage employment. To generate new employment, we have allotted Rs 1,000 crore (Rs 10 billion). Considering the returns have not been healthy, will there be any change in the policy of investing in exchange traded fund? Last year, the decision on equity participation was taken for the long term. Cautiously, we had taken a decision to invest just five per cent. Naturally, it will go higher. We have called portfolio managers and stock analysts and seen their presentations. We will put forward their recommendations in the Central Board of Trustees meeting.